In the movie, ‘When Harry Met Sally‘ starring Meg Ryan and Billy Crystal there is a beautiful ROM-COM quote that Harry (B.Crystal) says, ” When you realize you want to spend the rest of your life with somebody, you want the rest of your life to start as soon as possible.” It is Harry’s impatience that resonates so much with me because I am an impatient person, though I have become more patient as I’ve gotten older. I remember when I was twenty-one years old and getting ready to graduate from college, by this point, Bernard and I had been together for four years. A friend asked me, “If Bernard proposed to you after you graduate what would you say?” Immediately, without hesitation, I responded, ” Yes.” I answered this way because I loved Bernard and felt there wasn’t another person with whom I could imagine spending the rest of my life. It was true then, and it’s true now. 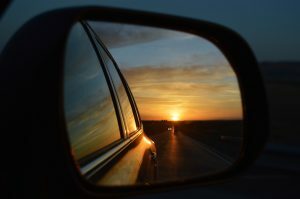 Hindsight is always 20/20 and with time and reflection comes wisdom and perspective. Although my response to the “Will you marry me?” question was the same whether he had asked me at twenty-one or when he did ask me at twenty-three . I can say now that I am thankful Bernard has more patience than myself and waited two years to propose. We needed those years both individually and as a couple. In those two years, many unexpected and challenging experiences occurred. Events that shook us to our core, and required strength, perseverance, and self-awareness to get us through. Those years forced us to grow up and take our lives and relationship more seriously. Bernard and I discussed this topic recently, and we question if we had been engaged during this trying period in our lives, if we would have emerged on the other side the same way. I want you to understand I do not believe my experience is one-size-fits-all. I am sure many couples who get engaged and married right out of college have beautiful, strong, and loving relationships. All I am offering here is something to consider. At twenty-one, I recognize now that I was young and naive about love and my relationship. Back then, I felt that if I just loved Bernard and he loved me, that it would be enough to sustain our relationship, but love is a feeling and feelings come and go. Bernard and I saw the good, the bad, and the ugly in one another in those two years. We questioned everything, and there were points when we considered throwing our hands up and calling it quits. If we had been engaged, I think the fact that we considered breaking up would have been enough to scare us both out of the idea of marriage to the other, at least for a little while. It is through those struggles that we gained a stronger unity that hadn’t been there prior. We also grew to understand that while feelings come and go there is a quiet love the resides underneath one that drew us closer together. I hear so many young women like Harry from the movie, express their impatience and anxiousness with getting on with the next portion of their lives rather than wanting to wait. At the risk of sounding old and cliche, I want to pass on a little bit of understanding that came with age. If something isn’t happening right away, there is usually a reason for it. Everything will come in due time, and perhaps when it does, you will see the puzzle pieces that needed to fall into place before they could occur and you could be thankful for your patience later. This entry was posted in Girlfriends and tagged boyfriends, girlfriends, love, Relationships. ← Why Won’t He Commit?